Built for tight storage spaces in vans and overlanding trailers, this portable kit is long, lean, and five pounds lighter than our regular 90-Watt Portable. It features a spring handle that lays flat to maximize storage potential and a sleek black anodized aluminum frame. 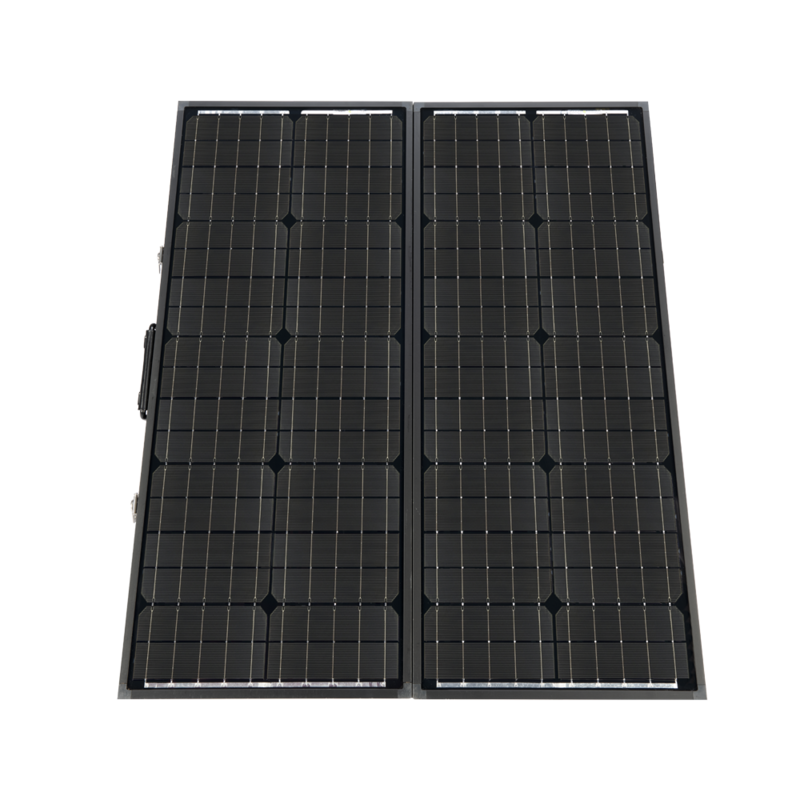 This 90-watt panel generates enough power for longer off-grid stays in small rigs, or shorter trips in slightly larger RVs. Our weather resistant, 5-stage, 8-amp charge controller is integrated into the panel to protect your 12-volt battery from overcharging, while also providing updates on power usage in real time and over longer periods of time on its large digital display.